Rizzardi Economic Associates is an equal opportunity employer. We employ a diverse group of talented and knowledgeable analysts and staff. For employment opportunities, please email your resume to info@rizzardieconomics.com. 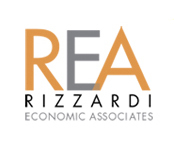 At Rizzardi Economic Associates we put our clients first. We are a team of dedicated, hard-working professionals who strive to maintain integrity in everything we do.